In a space not much larger than your fist, Jarboe bewitched Seattle with her cabaret style show. Backed by Italian post-rock drone outfit, Larsen, she took the tightly packed crowd through the chambers of her heart. Her work since the dissolution of the Swans has been about love — about the shock and fury of love rejected, love taken for granted and love unrequited — and her songs are starkly beautiful in their visceral nakedness. Larsen — four guys from Torino, Italy — opened with nearly an hour of drone and long tone pieces, moving from ambient washes to powerful thunderclouds of sound. A little Godspeed You! Black Emperor, a little Low, a little Tarentel, the dynamic range of Larsen’s sound would fill the intimate room with such presence that, at times, it would seem impossible to move. Somehow the drummer managed to pack a glockenspiel back in the corner and still have room to work his kit. The rhythm guitarist’s chair was blocking the aisle, the neck of his guitar nearly brushing the knees of audience members as they passed. You could hear the creak of the accordion’s case as the keyboard player worked the venerable squeezebox. You didn’t so much as watch the band as share their air. She can’t quite believe the silence either and, as she returns to the room, they come to life again, a roaring susurration of their adoration. This is what it is like to hear Jarboe perform in a space the size of your refrigerator. You forget to breathe. You forget who you are. You just become part of her pain and yearning. There is no other living performer who can compel with the same blend of mystery and depth…The Living Jarboe is profoundly human, the vocal manifestation of the depth of women’s pain and struggle. 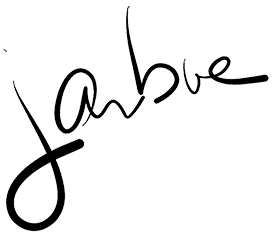 I am totally reverent of Jarboe. She is an icon from a long line of punk women who have inspired me (and countless others) to be my most incompromising self…. Seeing her live … one of the most transforming musical experiences I’ve had. ..a diabolical crossroads meeting between Bessie Smith and Diamanda Galas… Jarboe can be a gospel blues belter or screeching sorceress with equal devious ease. Her flexible and hugely expressive voice leaps from the whimpers of a terrified child to avenging Shiva screams without pause or warning.